Looking to check out what are going to be the Top 10 Best Upcoming Sneakers 2018? Trying to find that model you just saw over on somebody’s feed on Instagram? Search no more. Right below you will be able to find our picks. Jordan brand has been on the rise, especially with the amount of great retro on-court silhouettes that have been released. From the point where brands are far from slowing down, the brand invited select media to a special event in LA to preview some silhouettes. This Air Jordan 3 takes inspiration from Tinker’s original sketch of the shoe. Big differences are seen when comparing to the released version such as the swoosh and Nike logos on the upper. You will also be able to find The Architect’s signature on tongue and insoles as well as the famed Nike Air branding on the heel. We still remember the time where OG colorways of the AM180 were hitting outlets. Even then, no one would pick them up for 50% of its retail price. Times have changed and these are highly anticipated. They were seen first hand during the Paris Fashion Week SS18 show. However, some better images have surfaced and a release date has been announced. Three different iterations shall release, and one is just better than the other. However, they all display “Laser Pink” nylon construction as well as “Solar Red” brandings. Puma has been trying really hard to keep up with the latest trends, that’s a fact. We have mixed feelings about this pair in particular, but it sure deserves to be on our list as the brand has never attempted such as thing, at such large scale. Paying homage to the one and only Alexander McQueen and his collaborative McQ Tech Runner Lo, this silhouette features premium mesh and nubuck on the upper with contrasting colors. An additional shape is given due to its molded TPU midsole. The Nike Air Jordan 1 has immense history behind it. But we shall not get into that. On the other hand, its iteration in red made sure all sneaker enthusiasts went nuts when they were released. It is rumored that this white version will be a Europe exclusive, but the brand has not given any official word about it. They were debuted at Abloh’s FW18 showcase in Paris Fashion Week. When you think that the NMD is a dead silhouette, adidas comes back with another banger and ready to create some hype. After all, no need for introductions when it comes to NEIGHBORHOOD. They were first seen on the web during mid-2017, but the brand has now confirmed a release date. 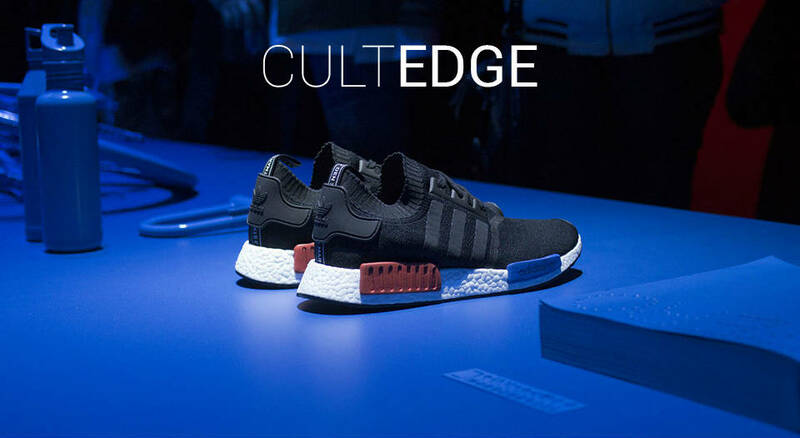 As anticipated, the NMD features a sock-like black upper with contrasting white stitching as well as the infamous shark-teeth motif around the toebox. The silhouette sits on top of a full-black BOOST midsole. This is an odd one, we know. However, from the point where we do not get to see many Roadstas around anymore, we believe that this collaboration deserves a spot on our list. In fact, we know that this STAMPD iteration will be much more successful than its past-Puma collaborations, for many different reasons. They are made from a monochromatic black sand print that sits under a shiny-grey patent upper. Remaining true to its DNA, BAPE’s star logo is still found at the side panels. Sitting on top of a white midsole, each and every single pair will be different due to its varying prints and patterns in the process of making them. For last but not least, even though it does not belong on our list, they should be released altogether with an apparel capsule collection. Right, they do not come close to the OG colorways released back in 2006, let’s get that straight. When brands and shops try to revive a particular shoe, they normally do a pretty bad job. Well, at least that is our opinion. However, this is not the case. atmos long-lasting partnership with Nike comes to life yet again, even though it may not be everyone’s cup of tea. Major changes are seen on the black hues around the shoe as well as on the swoosh. They will sell out, either way, you know how it works. Not that we fell in love with Yeezys around here, nevertheless, we believe that it helped shape sneaker history as we know it, believe it or not. This colorway, in particular, holds first place when it comes to favorites, at least for us it is. Yeezy Mafia, known to be at the forefront of every important BOOST release, announced that the “Peanut Butter” will be releasing in June 2018. The Semi Frozen Yellow shall release, but further on in time. One detail that should be mentioned is the gum-outsole that displays a slightly altered hue of brown from the rest of the upper. We know that Jordans are not that popular around Europe, apart from the Jordan 1 and the hype surrounding such pair. Yet, we believe that the AJ11 is one of the greatest on-court silhouettes ever. That’s right, ever. On that note, from the point where the Concord was re-released only back in 2011, a great comeback is set to happen in 2018. From what we know, Jordan Brand is keeping them as close to the OG as possible, for once. Jordan enthusiasts will love its return. We know that it has already been released in select locations, nevertheless, the official release will follow the anticipated Air Max Day celebrations. This is the first ever Air Max designed by the community, for the community. Nike is no stranger when it comes to hybrids, however, this shoe stands out due to its Air Max 97 upper that sits on top of an Air Max 1 midsole. Great mix-and-match of colors and materials is displayed. The Golden Year of a Golden Era? Without a doubt 2017 is a year to look back to. From Off-White x Nike releases to Supreme collaborations, from the Air Max 1 new shape to OG retro-runner launches. The year of 2017 also brought back the dad shoe in many different brands, from Balenciaga to New Balance. Just take your pick, look back, and realize how that same year influenced footwear as a whole. Sure, not everyone liked the Air Max 98 back then, but brands have been working rather hard to make sure that these releases hit every news outlet. Unfortunately, brands control what we buy, believe it or not. It is all about a very pretty story where “I only buy and wear what I like”, but we all get sucked into it without noticing. As expected brands are not slowing down. They must keep the hype right where it stands. We still believe that it is all about footwear and fashion, but behind the curtains, we have a multi-billion dollar industry. However, and really, we are not trying to shut down all the big corporations and make you stop wearing Made in Vietnam sneakers, but the so-called “scene” has shifted quite a bit. Around here, we are not that young anymore (we are not old as well, but let’s leave it to that) so we can actually relate to the past. We still remember when there were no lines or raffles to buy a specific pair. Or, even more, we remember when sought after pairs of today sat on shelves across the globe. Nowadays, there are even queues for the new iPhone X. From the very beginning of 2018, as soon as the New Year kicked in, we can guarantee that all brands are still going at full speed. Even the smallest brands of them all are trying to have an impact on this giant world we live in. On that note, we still believe that it is rather important to create a list of the Top 10 Best Upcoming Sneakers 2018. Yet again, creating a record, or any kind of index for all that matters, is always a complicated task. Make sure to have your say about our selection in the comment box below. While you’re here, make sure to check out our ultimate guide to the Top 20 Best Sneaker Shops in the World.